Add a comment or a suggestions for a topic to address. The contact information you provide here will only be used by us for this class. If you tell us to, we will also use this information to contact you about future classes. If you ask a question in the comments section, we may address the topic in the class, but we'll do it anonymously. 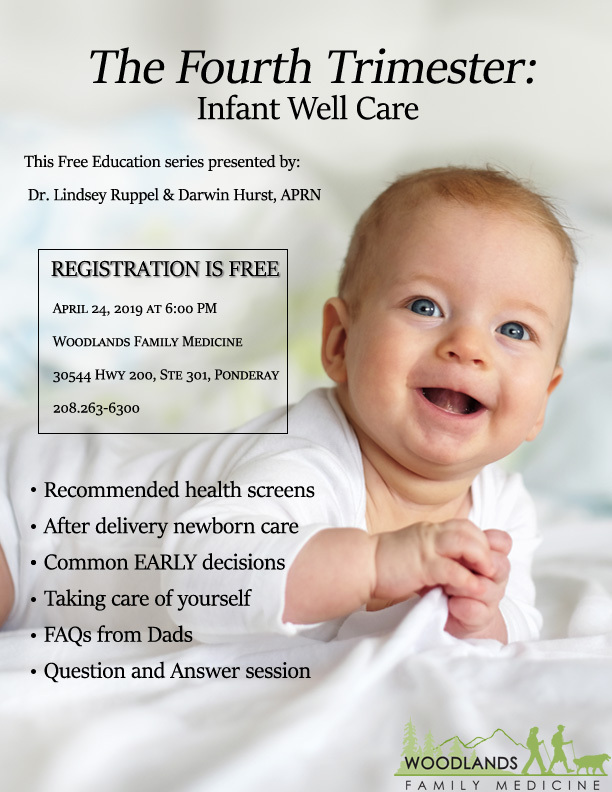 The 4th Trimester: Infant Well Care Class.